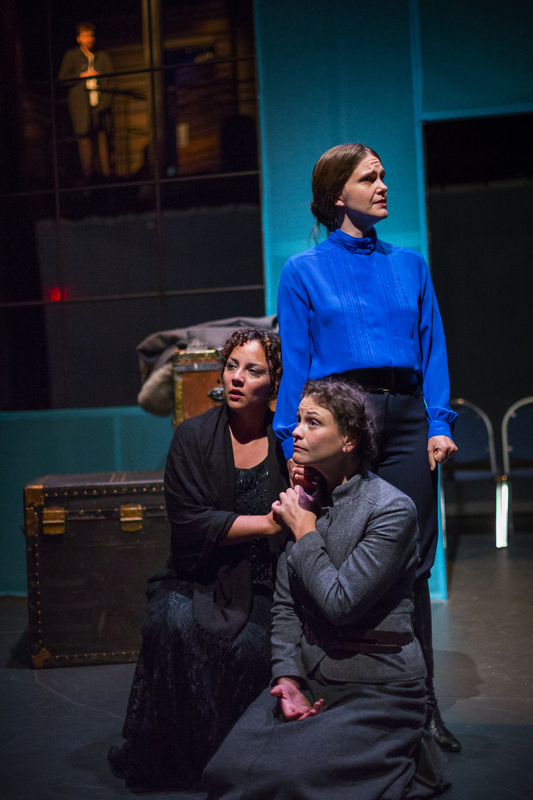 Professors Simek and Lingafelter team up with the Portland Experimental Theatre Company, of which Professor Lingafelter is a founding member, to produce a site-specific adaptation of Anton Chekhov’s Three Sisters in Simek’s new translation and under his direction. 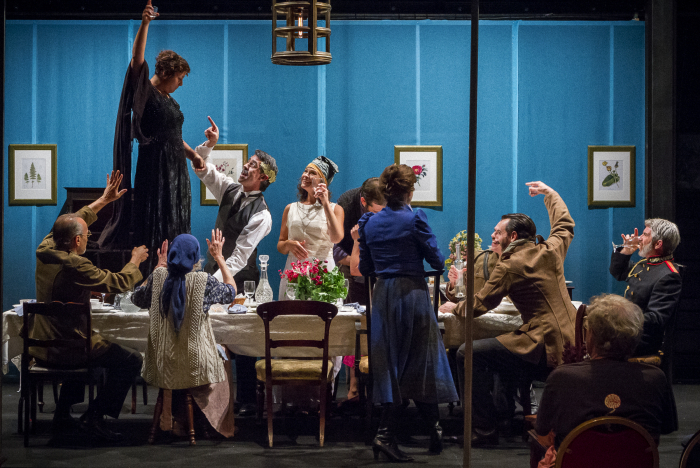 Professors Simek and Lingafelter will collaborate with the company, and the participating students to excavate Chekhov’s text from under the centuries of romantic English translations and interpretations and create a new, contemporary translation and production of the play. 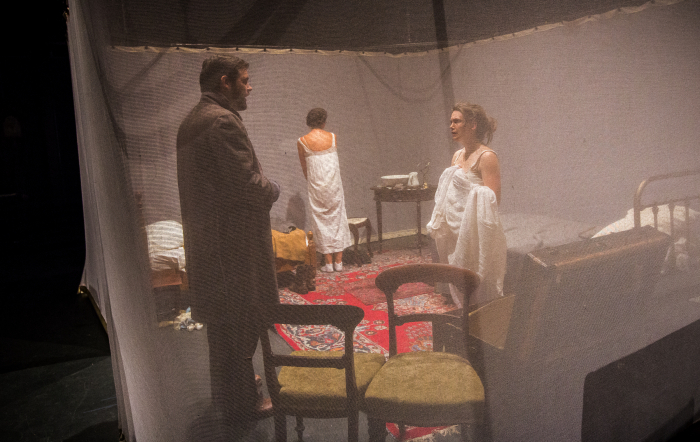 The project will approach the basic questions of how to “excavate Chekhov’s text from under more than a century of romanticized English translations to a text that feels utterly contemporary,” and how to “explore, teach, and perform Chekhov in a more active way, in a synergic manner”. In that it strives to marry the work of a translator with the work of the actor, and it subjects the hypothetical assumption that the text ought to be direct and simple to the practical test of performance. Rebecca Lingafelter is a performer, director, producer and teacher living in Portland, OR. She received her MFA from Columbia University in 2005, where she studied with Anne Bogart, Andrei Serban and Kristin Linklater. In New York she performed at Classic Stage Company, PS122, The Ontological Hysteric Incubator, HERE Arts Center, The Bushwick Starr, The Chocolate Factory, Judson Church, Vortex Theatre Company, Target Margin Theatre, and The Metropolitan Opera. She has performed internationally in Korea, Germany, Italy, England and Budapest, Hungary. She was co-artistic director of experimental theatre ensemble Performance Lab 115 from 2005-2010 and was lead-artist for PL115’s six-month residency with Mabou Mines mentored by Ruth Maleczech in 2008. Rebecca has taught voice, movement, acting and contemporary performance for over 7 years. She taught at the New York Conservatory for Dramatic Arts where she was on faculty through 2010. In addition she taught at the Public Theater, Classic Stage Company and The Brooklyn Academy of Music. In Portland, she has taught at the Portland Actors Conservatory and Portland Playhouse as well as leading workshops for Third Rail Repertory and PETE. Local credits include Collapse with Third Rail Repertory Theatre, Fifth of July with Profile Theatre and performances at On The Boards and Portland Center Stage’s JAW Festival with her theatre company, Portland Experimental Theatre Ensemble (PETE). In addition to stage work, Rebecca’s commercial and television credits include a Guest Star role on TNT’s Leverage, as well as national Pepsi and Kraft commercials. She is a proud member of Actors Equity and SAG/AFTRA. Stepan Simek has been a faculty member at Lewis and Clark College since 2001. Previously, he taught at The Evergreen State College in Olympia, WA and at Reed College in Portland, OR. Originally from Prague, Czech Republic, Prof. Simek has trained as an actor in the Czech Republic and spent five years in Switzerland working as a director and assistant director at various theatres there, including the “Zurich Schauspielhaus.” He lives with his wife Esther and their two teenage sons in a grand old house in one of Portland’s most beautiful, tree-lined neighborhoods, bikes to work daily, plays tennis, and is an avid skier. 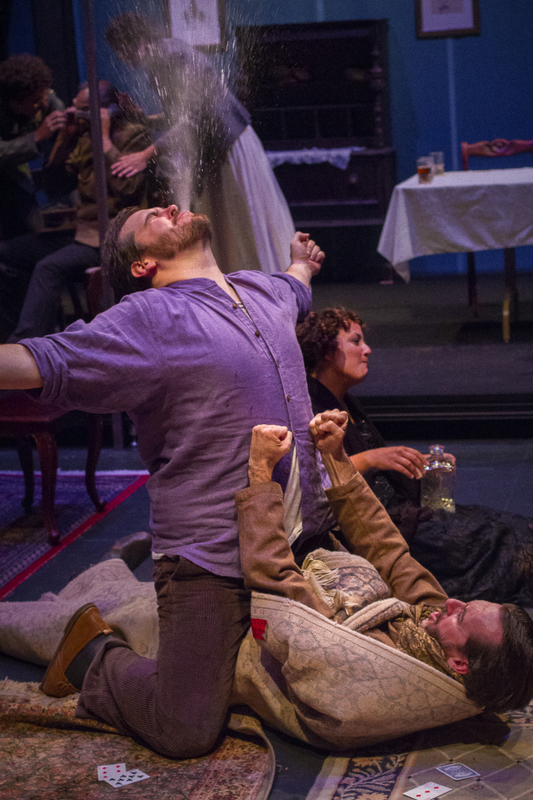 At Lewis & Clark College, Professor Simek teaches a wide range of courses ranging from the history and literature of the theatre, to advanced acting and directing. He also directs main stage productions at the college, and he continues working professionally in the Portland theatre scene. In the United States since 1987, Prof. Simek received his MFA in Directing at the University of Washington in 1995. He has directed more than 40 productions both professionally and in college settings in both the United States (Seattle, San Francisco, New York, and Portland) and in Europe, translated number of contemporary plays from Czech, German, and French into English, and adapted several novels for the theatre including Oscar Wilde’s Picture of Dorian Gray, Franz Kafka’s early Amerika, and others. His work as a director was honored by the 1996 Drama League of New York with the “Drama League Directing Fellowship,” and his translations of two contemporary Czech plays earned him the 2006 “PEN America Translation Award.” As one of the authorized translators of the body of work of the former Czech President and playwright Vaclav Havel, Prof. Simek continues working on creating new American translations of Havel’s plays, as well as those of the other leading contemporary Czech playwrights. In addition to teaching, directing in professional and college settings, translating, and adapting, Professor Simek has published numerous articles on the contemporary Czech theatre in the journal of international performance, “TheatreForum,” and the journal of “Slavic and East European Performance”. His translations appeared in several international anthologies.